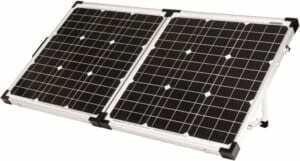 Go Power!’s 120-watt Portable Solar Kit (PSK) folding solar modules offer some of the most versatile and convenient battery charging options for those who don’t want to permanently mount solar to a rooftop or want to supplement a roof top system. 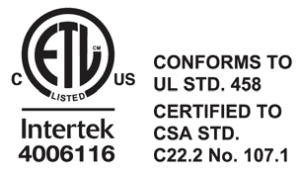 The Anderson-style battery charging connectors allow you to quickly interchange the charging accessory to best suite your needs – from maintaining your RV or trailer battery while on the road to trickle charging your car, ATV or boat battery. Adjustable folding legs to maximize solar exposure and for compact easy storage. Multiple charging connectivity options. Includes a heavy duty nylon case for storage protection. 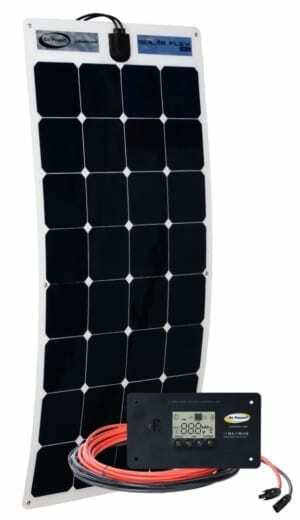 They also are a great supplemental solar kit to a roof top kit. 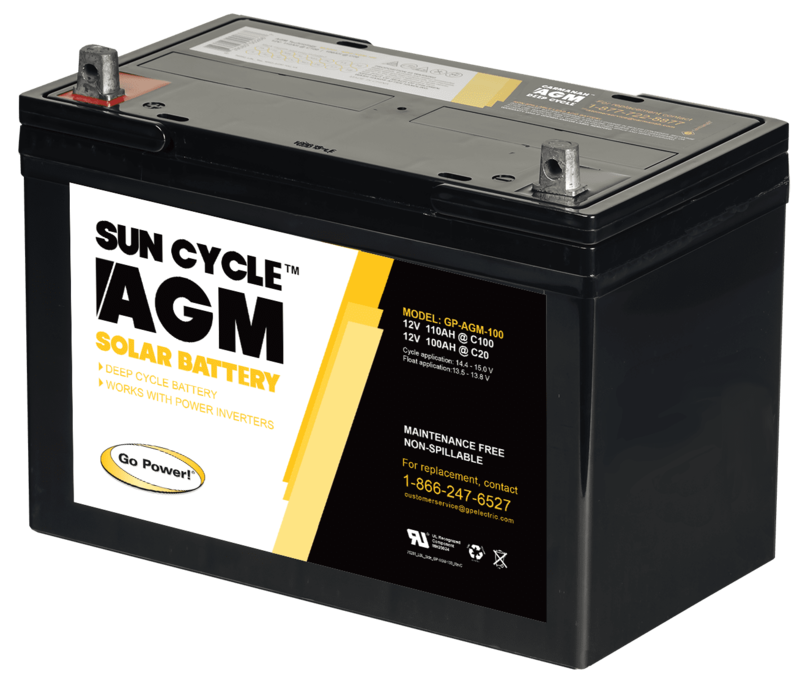 The Portable Solar Kits come with a variety of battery charging options with Anderson-style, quick connectivity. 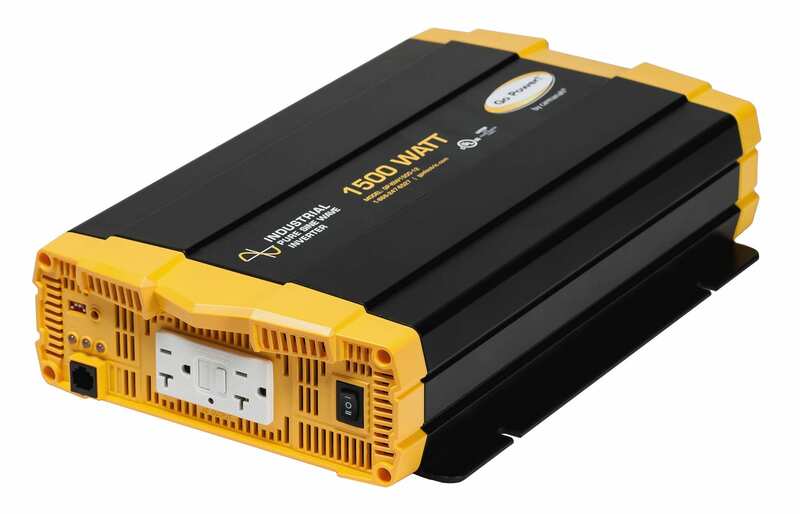 Go Power!’s 130-watt Portable Solar Kit (PSK) folding solar modules offer some of the most versatile and convenient battery charging options for those who don’t want to permanently mount solar to a rooftop or want to supplement a roof top system. The Anderson-style battery charging connectors allow you to quickly interchange the charging accessory to best suite your needs – from maintaining your RV or trailer battery while on the road to trickle charging your car, ATV or boat battery. Adjustable folding legs to maximize solar exposure and for compact easy storage. Multiple charging connectivity options. Includes a heavy duty nylon case for storage protection. 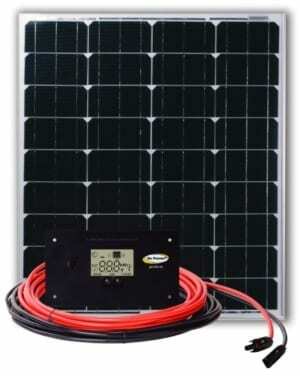 They also are a great supplemental solar kit to a roof top kit. 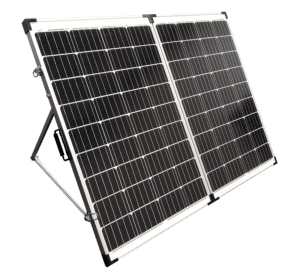 Go Power!’s 200-watt Portable Solar Kit (PSK) folding solar modules offer some of the most versatile and convenient battery charging options for those who don’t want to permanently mount solar to a rooftop or want to supplement a roof top system. The Anderson-style battery charging connectors allow you to quickly interchange the charging accessory to best suite your needs – from maintaining your RV or trailer battery while on the road to trickle charging your car, ATV or boat battery. Adjustable folding legs to maximize solar exposure and for compact easy storage. Multiple charging connectivity options. Includes a heavy duty nylon case for storage protection. They also are a great supplemental solar kit to a roof top kit. A solid choice for most mid-range power needs, the Go Power! 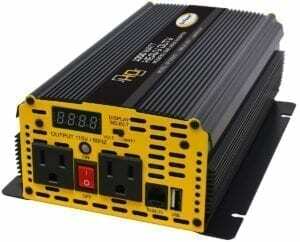 GP-1000HD heavy-duty modified sine wave inverter offers 1000 watts of power for operating standard AC appliances on the road. Ideal for powering kitchen appliances, or as a source of emergency back-up power, this inverter fits a range of applications. 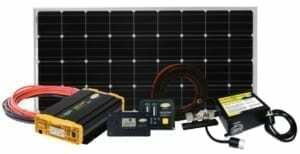 Go Power!’s 80-watt Portable Solar Kit (PSK) folding solar modules offer some of the most versatile and convenient battery charging options for those who don’t want to permanently mount solar to a rooftop or want to supplement a roof top system. The Anderson-style battery charging connectors allow you to quickly interchange the charging accessory to best suite your needs – from maintaining your RV or trailer battery while on the road to trickle charging your car, ATV or boat battery. Adjustable folding legs to maximize solar exposure and for compact easy storage. Multiple charging connectivity options. Includes a heavy duty nylon case for storage protection. 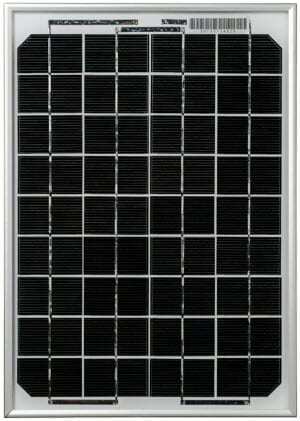 They also are a great supplemental solar kit to a roof top kit. 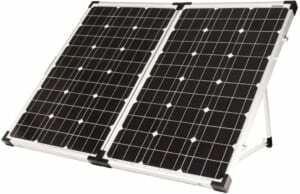 Go Power!’s 90-watt Portable Solar Kit (PSK) folding solar modules offer some of the most versatile and convenient battery charging options for those who don’t want to permanently mount solar to a rooftop or want to supplement a roof top system. 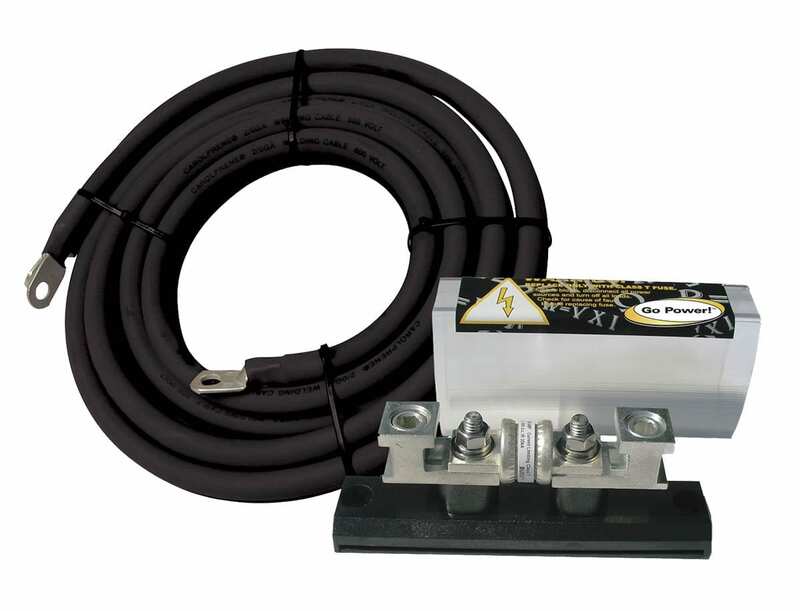 The Anderson-style battery charging connectors allow you to quickly interchange the charging accessory to best suite your needs – from maintaining your RV or trailer battery while on the road to trickle charging your car, ATV or boat battery. Adjustable folding legs to maximize solar exposure and for compact easy storage. Multiple charging connectivity options. Includes a heavy duty nylon case for storage protection. 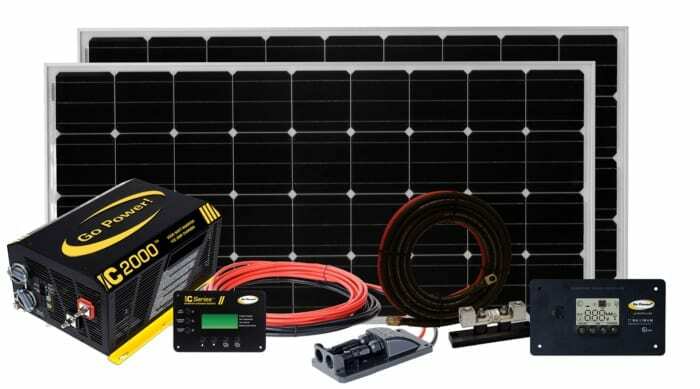 They also are a great supplemental solar kit to a roof top kit.